If your team still heavily relies on manual processes or struggles with a lack of skilled resources, tools and budget, then automation and integration could be the answer to improve your security operations. Automation of everyday security operations will simplify and streamline your teams’ workflow and allow them to put their skills to better use on more complex tasks. Despite the benefits, 59 per cent of SANS survey respondents still use little to no automation of key security and incident response (IR) tasks. Why have organisations been slow to embrace automation? In this webinar, Emily Laufer, product marketing manager at LogRhythm, and several industry experts come together to discuss the new SANS survey findings on automation and integration. They’ll discuss what holds most organisations back from automating more security processes and provide advice on the step’s teams can take to overcome automation challenges and realise its benefits. Register now to learn how automation can bring your team, process, and technology together to move your security operations forward. MITRE ATT&CK is a knowledge base and framework that lists and details adversary tactics and techniques within a common taxonomy. Having a taxonomy by itself has many valuable uses, such as providing a common vocabulary for exchanging information with others in the security community. But it also serves as a real technical framework for classifying your current detection efforts and identifying gaps where you are blind to certain types of attack behaviours. Often, when looking for malicious network traffic you either search for known bad or investigate anomalous traffic that doesn’t look normal. That reactive approach is time consuming, and potentially over-reliant on searching for larger concerns. Fortunately, new solutions use advanced analytics to proactively identify, enrich and alert on malicious traffic. - Detecting anomalous traffic can address the aforementioned weaknesses, but in practice it depends heavily on how – and how well – you define anomalous traffic, and how quickly (accurately) you can spot it. In this real training for free webinar, we explore how to analyse your network so that you can learn and understand its traffic patterns and get a handle for what’s normal. You’ll then be able to take this information and look for anomalous traffic, build known-bad detections and make your network detection and response (NDR) technologies and efforts smarter. As organisations advance their security posture and reduce risk, email security continues to be a critical concern. Between password leaks, brute force attacks and phishing, email credentials and actual email sends continue to be at jeopardy. Of further concern is that missing the initial compromise – often via email platforms – can enable the attacker to collect data and move laterally into more valuable environments. In this webinar, Susana Hernansanz and Sam Straka – LogRhythm Technical Product Managers – will highlight the value of ingesting and monitoring O365 logs via your NextGen SIEM. With LogRhythm the data will be enriched, normalised and contextualised for efficient use in threat hunting and alarms. LogRhythm and Cisco are committed to helping you enhance your security operations through the seamless integration and powerful capabilities of the LogRhythm NextGen SIEM Platform and Cisco’s Threat Grid, Umbrella, Firepower and ISE. Currently integrating with over three dozen Cisco products, LogRhythm provides centralised visibility and advanced security analytics across the Cisco-enabled environment and makes security events actionable in the network. Stay ahead of cyber adversaries and proactively detect, respond to and remediate cyberthreats with this powerful integration. Alongside an expanding attack surface resulting from the growth of cloud, mobile and IoT, organizations are now increasingly faced by internal threats. Insider threats, compromised accounts, administrator abuse and other user-based threats are some of the most damaging vulnerabilities and the hardest to detect. This has led to the evolution of user and entity-based analytics (UEBA) solutions, designed to address user based threats, and through the use of artificial intelligence (AI) and machine learning these solutions are advancing threat detection capabilities in modern security operation centers. In this webinar, Mark Settle, LogRhythm Product Marketing Manager, and Samir Jain, Senior Product Manager, UEBA, will discuss the evolving UEBA market, and advancements in the technology fueling these solutions. •How advancements in AI and machine learning technology are enabling security analytics and in particular UEBA. •Why security analytics solutions are moving to cloud infrastructure, and the security implications compared to on premise platforms. In this webinar, a group of security experts from LogRhythm and Ultimate Windows Security team up to show you how to spot threatening DNS activity with LogRhythm NetMon Freemium. Register now to learn how to stop hackers from exploiting DNS to infiltrate your network. Phishing campaigns are among the most common and damaging cyberattacks. Despite how common and successful phishing attacks are, often times organisations and their employees are ill-prepared to handle these threats. In this webinar, Greg Foss, LogRhythm Manager of Global Security Operations, Paul Asadoorian, Security Weekly CEO and Founder, and John Strand, Black Hills Information Security Owner and Security Analyst, discuss phishing attacks and how you can protect yourself from them. Additionally, the three go on to discuss how LogRhythm’s open-source Phishing Intelligence Engine (PIE), can help streamline and automate the entire process of tracking, analysing, and responding to phishing emails. 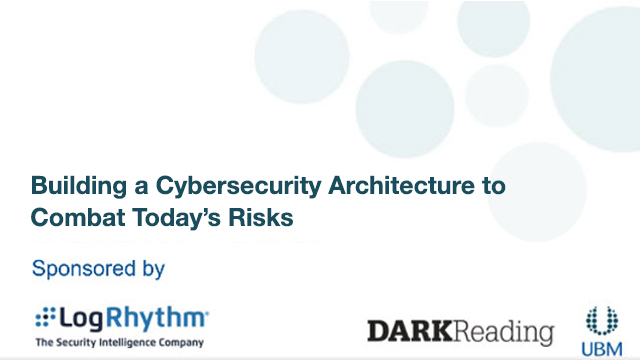 Watch now to learn how LogRhythm is helping to automate the detection and response to phishing attacks. Threats are evolving. Is your security? LogRhythm is a world leader in NextGen SIEM, empowering organisations to successfully reduce risk by rapidly detecting and responding to damaging cyberthreats. The LogRhythm NextGen SIEM Platform combines user and entity behaviour analytics (UEBA), network detection and response (NDR) and security orchestration, automation & response (SOAR) in a single end-to-end solution.